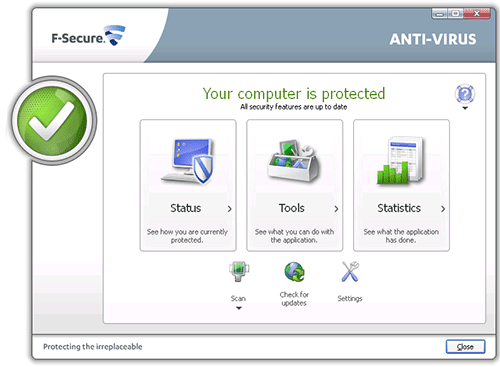 F-Secure® Anti-Virus™ offers better protection against viruses without slowing down your computer. The completely redesigned new version offers significantly improved performance and enhanced protection against viruses, spyware, infected e-mail attachments, and other malware. Automatic updates and advanced DeepGuard™ cloud computing technology ensure the fastest protection against new threats.